RSS affiliate Swadeshi Jagran Manch (SJM) has opposed the takeover of home grown Flipkart by US retail major Walmart. In a letter to Prime Minister Narendra Modi, SJM alleged that the approval for the takeover is in violation of existing laws. RSS affiliate Swadeshi Jagran Manch (SJM) has opposed the takeover of home grown Flipkart by US retail major Walmart. In a letter to Prime Minister Narendra Modi, SJM alleged that the approval for the takeover is in violation of existing laws. 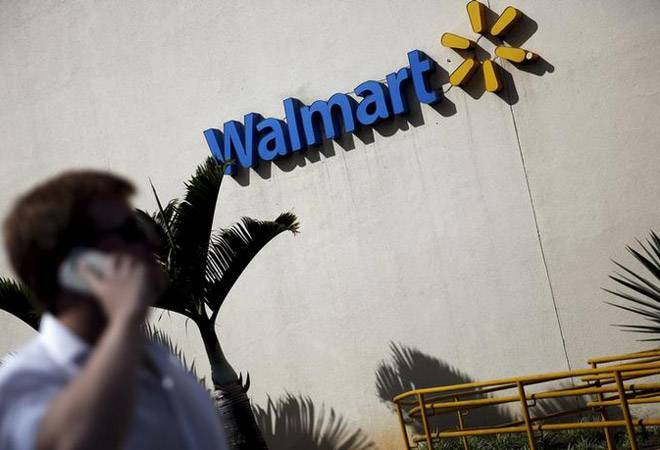 "Walmart is using the e-commerce route to circumvent the rules to attack Indian market. It is to be noted that nowhere in the world, Walmart has a market place model," the letter said. SJM said that RSS and the ruling BJP have a consensus that FDI in multi-brand retail will not only kill entrepreneurship, and is anti-farmer and will kill job creation opportunities in the market. It also stated that Flipkart's operations are not beyond suspicion and companies, such as Flipkart India Pvt Ltd, Flipkart Internet Pvt Ltd, which do sizable business in India - have not filed their statement of accounts for the year 2016-2017, 2015-2016 and have only made partial disclosures. "It will be very dangerous, if we allow them to raise funds, transfer assets, that too to company like Walmart. There have been series of complaints with DIPP, Enforcement Directorate and RBI of violation of clarifications on FDI rules as stated in DIPP Press Note 3 / 2016, but surprisingly no action has been initiated them," the letter by Ashwani Mahajan, All India Co-Convenor, SJM said. "We know from the experience of other countries that wherever such domestic companies existed, they all sold out to bigger MNCs. All over the world, giants like Walmart and Costco have taken over. This deal is unfortunate, but not surprising. Now the danger is knocking at our doors, these developments force us to write this letter; and appraise you of various disruptions it will do to the market and violations of the law of the land, along with being unethical and against the national interests," the letter said. SJM fears that the takeover deal will eliminate the small and medium businesses, small shops, and opportunity to create more jobs. "Most of these small entrepreneurs are already battling for their existence; entry of Walmart will further create problems for them." The letter termed Walmart as the world's largest importer of Chinese goods and said that the if continued, it will kill the 'Make in India' dream. The organization also raised a red flag over the funding channels of India's online marketplace models. "India is strategically opposing the discussion on e-commerce in World Trade Organization and we support the decision. The biggest reason behind opting for this strategy is the need to strengthen our laws and regulations, so that Indian interests could be best protected," Mahajan said, adding that the entry of Walmart will defeat this purpose. "At present, the absence of watchdog, regulator, ombudsman and the connivance of certain bureaucrats, allowed many of the violations to become a norm. There are no rules set for the B2B trade via ecommerce, so there is no check and balance. In absence of rules and regulations, companies such as Flipkart India Pvt Ltd, Myntra, Jabong India Pvt Ltd and companies of similar nature should not be allowed to raise any funds directly or indirectly from existing or new investors," the letter states. The complaints against Flipkart included the practice of creating a cobweb of companies and arrangements under the 'garb' of B2B ecommerce and marketplace structure, which has remain unchecked from the scrutiny of government and existing mechanisms, they say.